Choosing the perfect birthday gift can sometimes seem daunting, but it doesn’t have to be. 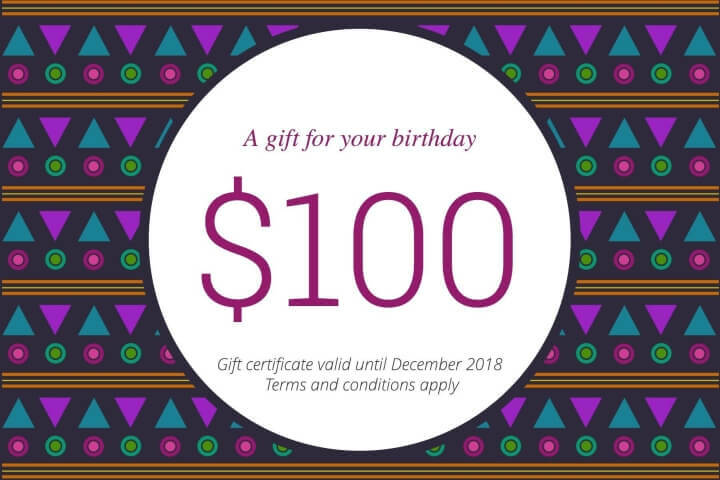 Whether for a milestone first birthday, a new teen, or loved one celebrating their 100th, gift certificates are a great idea. In fact, they make putting together the perfect present simple, unique and fun! Lucidpress’s birthday gift certificate templates are fully customizable, empowering you to make a personalized gift for everyone on your birthday list. Our intuitive drag-and-drop interface lets you change themes, fonts, colors, and even upload your own photos in a few simple clicks. Take the hassle out of birthday gifting. Keep it simple, make it personal, and have some fun!